Food with Friends works to serve children in our community who lack food during the summer months when school- provided meals are not available. We provide food by partnering with Second Harvest Food Bank and deliver food items directly to each child once a week during the summer. 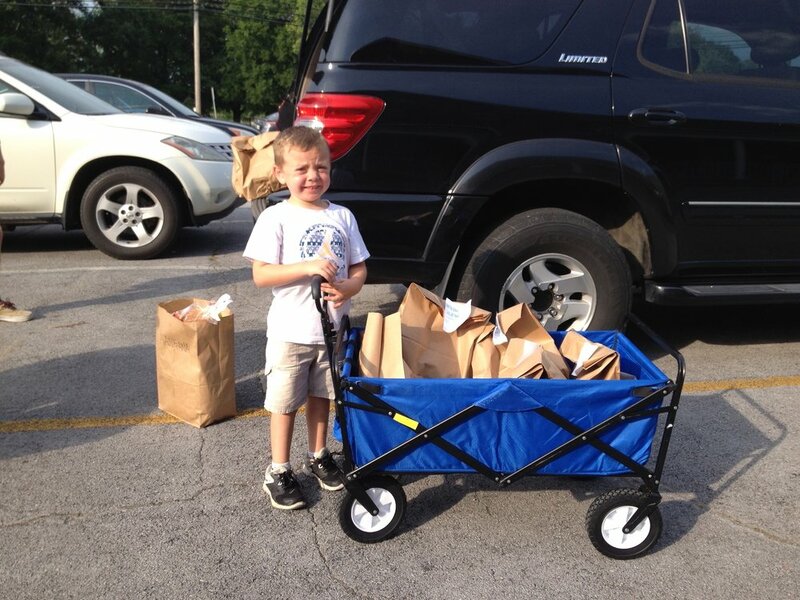 Love Local’s Food with Friends also provides supplemental food items if needed throughout the school year at Adrian Burnette Elementary School for Backpack Buddies and longer school breaks when snack items are provided to the students. In addition to providing food, a faithful group of Senior Adult BDBC Members pack the snacks into bags each week and deliver to Adrian Burnette for distribution.